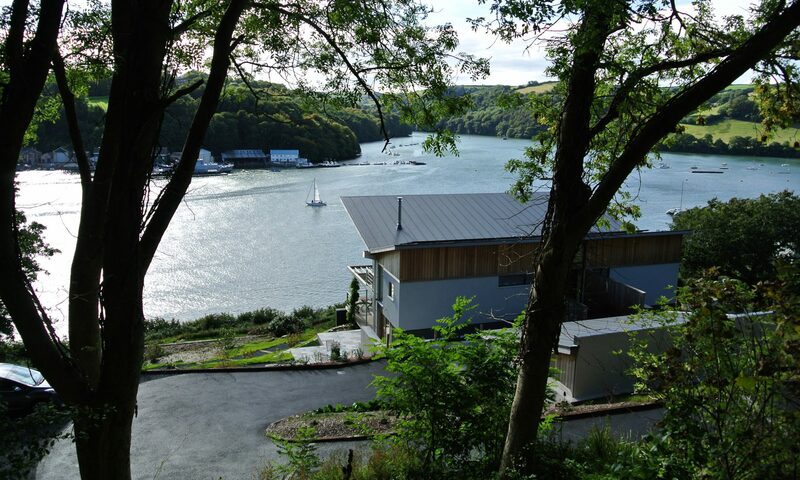 The House is situated on the Kingswear side of the River Dart overlooking Dartmouth and the Britannia Royal Naval College. Coming from the Exeter direction either take the route via Newton Abbott and the Torquay and Paignton ring road; or continue on the A38 and take the A385 to Totnes. If you are coming from the Plymouth direction, it may be less busy if you take the route via Totnes and follow the A385 towards Paignton, again ignoring the signs for Dartmouth until past Totnes. Beware that if you purely follow a Sat-Nav to Dartmouth, it will probably take you to the wrong side of the River Dart and you will have to catch the Higher Ferry back to Kingswear! About 2 miles from the House after climbing a long hill and just past a mini-roundabout, the road splits with the left spur going to Kingswear and the Lower Ferry to Dartmouth. The right hand spur is signposted for Dartmouth via the Higher Ferry; follow the road to the right. After 1.5 miles, you will see Noss Marina on the right. Carry on past and about 100m after the turning for Noss Marina and before a sharp left hand bend, turn left up a steep hill onto the private road. If you get as far as the ferry, you have missed the turning! The flat and the main house share a common drive and parking so, after turning off the main road down to the ferry, drive along the private road for about 400m and look out the Tides sign. Follow the drive down and park on the gravel and that could be the last time you have to use your car until you leave. Any difficulties in finding us, do not hesitate to ring on the numbers provided at Contact us. The house is built on a steep site so we are not wheelie suitcase friendly nor is it a great location for those with mobility challenges. There is a gravelled path with steps to get to the flat. The front door to the flat is at the front (river side). If we are not there when you arrive, the key will be in the key safe on the right hand wall outside the bedroom. Getting to DartmouthYou can drive to Dartmouth (we never do!) or there is a short, but steep walk down through the garden to the Higher Ferry across to Dartmouth. The ferry runs back and forwards across the river taking about 10 minutes and so you never have to wait too long. Its normal running hours are 0630hrs until 2245hrs – prompt! 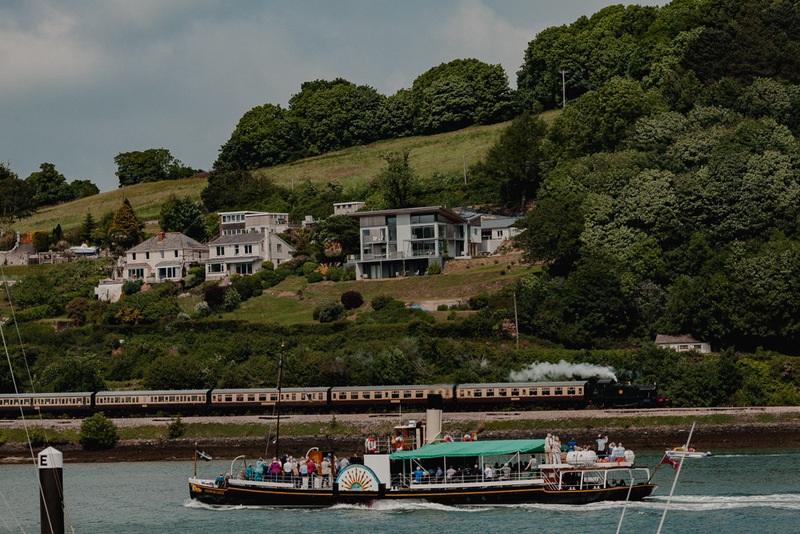 There are water taxis if you miss the last ferry but they will only take you to Kingswear village and you will have to walk along the towpath for the railway to complete the journey! To make the most of the paths and outstanding walks, suitable footwear is highly recommended. Also if you intend to be out after dark, we suggest that you bring a torch as there is no street lighting during the short walk from the Higher Ferry back to the house; although we have provided one for your use should you forget. There is a regular train service to both Paignton and Totnes. If you arrive at Paignton, then you can catch a bus to Kingswear and walk to the house along the River. Alternatively a taxi would be around £20. If you arrive at Totnes and are feeling adventurous you could catch one of the tourist ferries to Dartmouth (subject to Tides and winter/summer timetables. There is a bus service to Dartmouth from Totnes or a taxi would be around £30.